This is a well known treatment to smooth out wrinkles, remove crows feet and ease forehead frown lines. This injectable treatment is very effective, the results can last for between 3 to 6 months and it is a very safe and popular treatment choice. As dental surgeons and fully trained facial aesthetic practitioners we have an excellent knowledge of the muscles of the face making us the ideal choice for this kind of procedure. Typical prices are 1 Area £125, 2 Areas £145, 3 Areas £165. Each case is different so this is a guide only. As men have stronger muscles they usually require more toxin and accordingly the cost may be higher. 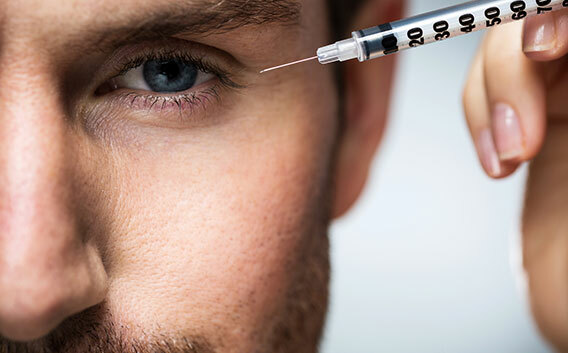 Botulinum Toxin A injections have been used safely and effectively for many years all over the world to treat cosmetic and many other non-cosmetic disorders. 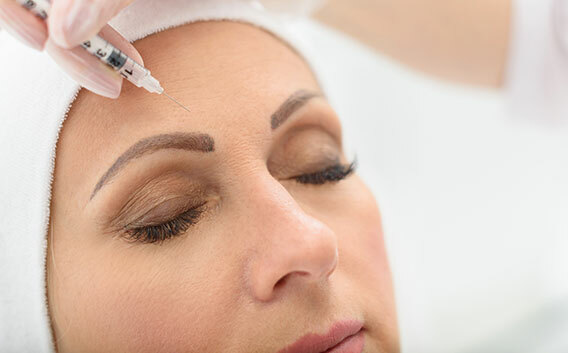 Each year many thousands of patients receive Botulinum Toxin Cosmetic treatments for a variety of conditions and it is quickly becoming the most popular treatment for reversing the visible signs of ageing. 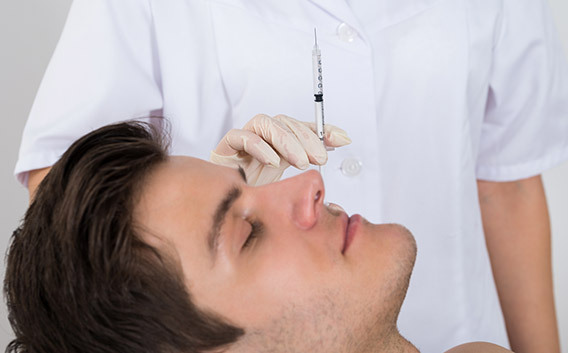 A fine needle is used to inject a very small amount of Botulinum Toxin A – a clear liquid -very precisely, into several locations on the face. Because the needle is so small and only a small amount of medication is used, the pain associated with the injections is minimal. When asked, most patients compare the sensation to an insect bite or a pin prick sensation. No anesthetic is required, and you can resume normal activities immediately. You can drive yourself home or back to the office. Some patients will experience a slight temporary bruising at the injection site, it is advisable not to exercise or wear make up for a few hours afterwards. Temporary bruising is the most common side effect. Additionally, in some cases, the medication can migrate and cause a temporary weakness of nearby muscles. In very rare cases, there can be a drooping of an eyelid or asymmetry of facial expression. The risk of any side effects depends upon the muscles injected. we will discuss these side effects with you before your treatment. 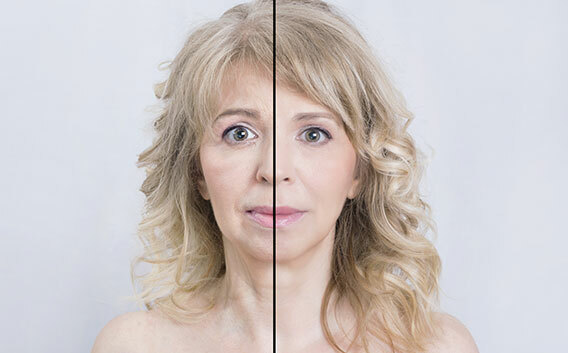 If the wrinkles discussed above make you look older than you are, cosmetic denervation with Botulin Toxin A can smooth these out and give you a more youthful and pleasant appearance. It may take two to three days to see an improvement and up to one week to see the overall effects. The skin will appear smooth and even show a youthful glowing appearance. Botulinum Toxin A Cosmetic cannot improve wrinkles due to aging and sun-damaged skin since these wrinkles are unrelated to facial muscle contractions. The effects can last from three to four months. Therefore, to maintain the effects you will need to have treatments about every four months. Clinical studies indicate that the duration of treatment benefits is increased over time so that you should require injections less frequently in the future. Also, the duration of effect varies from patient to patient and Botulinum Toxin A may be less effective for those over 65 years of age. How does the Botulinum Toxin A work? Botulinum Toxin A blocks the impulses from the nerve to the facial muscles that are related to wrinkle lines. Botulinum Toxin A relaxes the muscles so they do not contract as before the injection, think of it as the muscle activity being switched off. After the treatment, the overlying skin remains smooth and unwrinkled while the untreated facial muscles contract in their usual normal fashion, allowing normal facial expression to be unaffected.